I swear, I wanted to be a good king. My men were in the middle of assaulting Sarleon as I had this thought. 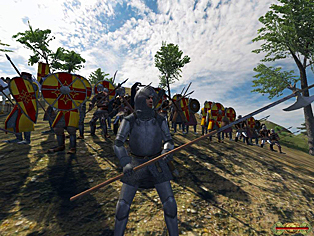 Sarleon is the capital city of the old kingdom in the Mount & Blade: Warband mod “Prophesy of Pendor.” Mount & Blade, if you haven’t picked it up yet, is a medieval combat simulator by TaleWorlds, and “Prophesy of Pendor” is one of its more popular mods. You’re thrown into a land divided by war, and you’re free to make your way across it as a mercenary, a trader, an upjumped noble or some combination of the above. They are the 99 percent, here to get me the experience I need to go from level one to level two, thereafter present as a meatshield for the enemies that matter. I’ve chosen to pursue the mod’s one victory condition: unite the land and become king. 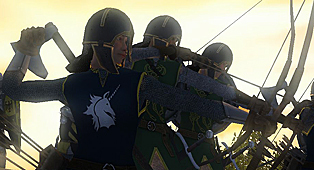 This was not particularly easy – Mount & Blade is unforgiving even in its base configuration, and “Prophesy of Pendor” thinks nothing of sending a company of fanatical high-level knights after you right out of the gate if you wander in the wrong direction – but I’ve played it before and know what risks are worth taking. Soon enough, I was a powerful lord who owned a tenth of Pendor’s cities. One well-timed rebellion later, and I was monarch of my own fledgling kingdom. For a time, there was peace. Bandit parties were hunted down and exterminated. Slavers were given no quarter. I built roads and universities and hospitals, and my people became prosperous. Those of you who’ve played Civilization 5 and gotten stuck next to one of the more warlike leaders (Genghis Khan, Alexander the Great, Gandhi for some unfathomable reason) will know that it’s impossible to keep the peace after a period of rapid expansion. A neighboring kingdom saw an opportunity to put me in my place, and I had to deal with a massive invasion. My boys were massively outnumbered, but they were the cream of the crop; more importantly, they had me in the battle next to them. Fifteen hundred casualties later, and I’d broken the invasion and launched a counter-one of my own, setting out toward Sarleon. All in all, a good day’s work. Shoot, I’d even gained a level. Still, there was something nagging at me as we marched toward Sarleon’s self-named capital. I had spent most of the previous battle sniping halberdiers in the head and ambushing armored longbowmen. I’d probably killed dozens of them, but I had no idea if this was unusual or not, so I checked my character’s statistics screen. In the course of my time in Pendor, I’d personally killed 20,000 people. Monsters abound in Pendor – half-human Snake Cultists, slavers from the Red Brotherhood, even literal demons on horned chargers. They terrorize pilgrims, peasants and lords alike. Some of them, through the conscription of liberated prisoners, can grow into lumbering hordes, thousands strong, requiring the efforts of a whole kingdom to take down. They’re the bad guys. I’m the good guy. Here’s the thing, though: none of them have slaughtered even a fraction of the people I have. Sure, some of my casualties were literal monsters – the aforementioned demon princes and Snake Cultists – but they’re a small percentage of my total body count. I’ve killed starving deserters, treasure-seeking adventurers and paladins who just happened to be on the wrong side when the battle started. I’ve killed reclusive elves. I’ve killed patrolling wardens and local sheriffs. I’ve killed peasant conscripts. I’ve killed female peasant conscripts. What are those peasants thinking when they see me crest the hill? At this point in the game, as in any game where you can collect equipment, I’m blinged out. They’ve got the clothes on their backs; I’m decked out in the cherriest plate mail I could buy. They’re on foot; I’m on a blazing-fast warhorse I nicked from some Noldor. They have sickles and rocks; my bow was literally given to me by a god. They are the 99 percent, here to get me the experience I need to go from level one to level two, thereafter present as a meatshield for the enemies that matter. It’s like this in nearly every combat-centric game you’d care to name. Are all these guys I’m fighting really worthy of death? Shouldn’t at least a few of them offer to surrender after I’ve cut and shot my way through half their comrades? Would I even take that option if it were offered? I used to try to run peasants over with my horse, because doing so would knock them out instead of killing them. Somewhere along the journey from zero to 20,000, however, I stopped. There was no penalty for killing them, you see. If I captured a lord and denied him the opportunity to pay me a ransom, I would lose honor. If I retreated from battle, I would lose honor. If I failed a quest to extract extra tax revenue from a village of peasants, I would lose honor. But I could depopulate all of Pendor save for me and my party and the game wouldn’t care. There’s a scene in Dragon Age II that lampshades this dilemma. It occurs right after your mage companion, Anders, nearly murders a woman who he believes to be conspiring with his mortal enemies. If the main character intervenes, he ends up letting her go, but the experience makes him … well, not broody, because broody is his natural state. It shakes him, and he’s notably prickly in subsequent conversations. One of your other companions, Varric, calls him out on this, listing the number of people he’s killed and pointing out that it’s ridiculous to feel guilty about nearly killing one person when his typical day involves scores of actual murders. “It’s not the same,” Anders protests. I used to feel a certain amount of pity (or, as much pity as one can feel for a unit in a videogame) for them, but that was a long time ago. There is no morality meter present when I mow them down. They’re just in the way. I don’t want to give the impression that I’m calling Mount & Blade or “Prophesy of Pendor” out here. 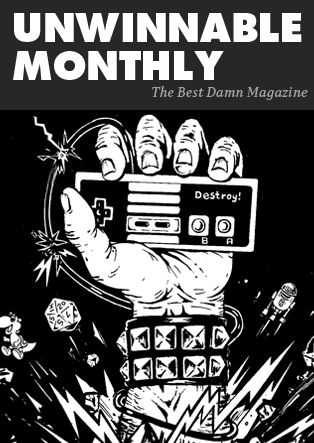 The prime point of engagement in the game isn’t the moral quandary of the death of innocents in the course of building a kingdom; it’s timing your swing so that you deal maximum damage to the knight you’re thundering toward. It’s making your way up a siege ladder, under fire from crossbows on all sides, until you cut your way through the massed defenders and claim the castle for your own. It’s sniping a charging lancer in the head a half-second before he spears one of your archers into the ground. It does all this very well. You should pick it up on Steam. The game simply isn’t designed to show you the consequences of being a butcher. It’s not alone in this. 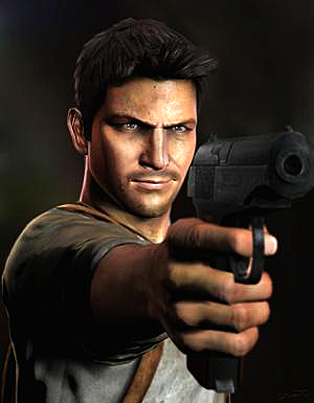 A common criticism of the Uncharted series is that there is a tonal disparity in Nathan Drake’s actions. Cutscene Nathan Drake will make a snarky joke and flash a charming smile; gameplay Nathan Drake will then proceed to gun down hundreds and hundreds of people. In his world, he’s the greatest individual mass murderer in history, but the series rarely points this out to him. Killing people affects different people in different ways. My grandfather, who died late in 2012, was a marine in the Pacific theater of the Second World War, a landing craft pilot who went ashore with the rest of his troops in the battle of Okinawa. He only rarely talked about the war and what he did there, but I know that he was troubled by nightmares for years after coming home. We looked through his effects after his death – among them were personal photos of a Japanese soldier and his family. I don’t know how he got them, but it seems unlikely that soldier just gave them to my grandfather. On the other side of that is Simo Hayha, a Finnish sniper who fought against the Soviet invasion of his country in the Winter War. Hayha may be the man with the largest body count in all of war – he’s credited with sniping more than 500 Russian soldiers and machine-gunning at least 200 more, all in about three months. Hayha’s career as a living cheat code ended when half of his face was blown open by an exploding bullet, but he recovered and lived to be 97 years old. Later in life, someone mustered up the courage to ask him if he’d had any second thoughts about ending so many lives. “I only did my duty, and what I was told to do, as well as I could,” he said. He also attributed his skills to practice. I wonder if there’s a burgeoning awareness of this in gaming, or at least an attempt to address it in a game’s mechanics. Dishonored lets you be an absolute nightmare to your enemies (few games give you the ability to use a swarm of hungry rats as a weapon), but if you cause too much death and destruction, you get the Bad Ending. Spec Ops: The Line gives you the same choice other games give you when it comes to killing thousands of bad guys (you have to do it in order to advance), but the entire game causes you to question whether you’d be better off simply putting down the controller. 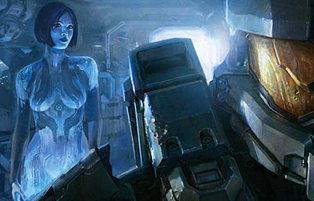 A curious thing happens over the course of Halo 4. Master Chief is a legend in the Halo universe, but by the time of his return to duty, everyone looks at him a bit strangely. The Covenant, humanity’s alien enemies, had called him “Demon” since the first game, but it seems like his allies have started to perceive him as an other. In cutscenes, the Chief towers over every other character – even humanity’s latest batch of supersoldiers are shorter than he is by at least a foot. He’s old, the veteran of hundreds of campaigns, each of which (if the games are any indication) have seen him cut through a minimum of hundreds of living beings. He never does figure that out, at least not by the end of the game. I think he’s got a good idea of the answer, though. I’m standing below a siege ladder as my men assault Sarleon. They’re going first. This isn’t because I’m a coward – it’s just that throwing myself onto a group of dozens of massed defenders isn’t a good use of my skills. My vantage point below the ladder gives me a good view of Sarleon’s two flanking towers. An archer pops his head out behind a wall and takes aim at my troops. I put an arrow through his eye. Another archer does the same thing – I shoot him in the arm this time, but my bow does enough damage that I imagine it’s like getting shot with a railgun. It’s three minutes into the siege and I’ve already killed 40 people. Men die on the walls, far from me, and men die on the ladder, directly above me, their bodies falling on either side of me like garbage tossed into a dumpster. There are almost a thousand soldiers guarding this city, and I’ve got to kill damn near all of them if I want it. And I do want it. I don’t have any other option. I wanted to be a good king, I swear, but in Pendor, or Thedas, or in all of the wide Milky Way, the only way to be a good anything is to kill.